As with the detector, the lens is being sourced, probably to come from Edmund Optics. 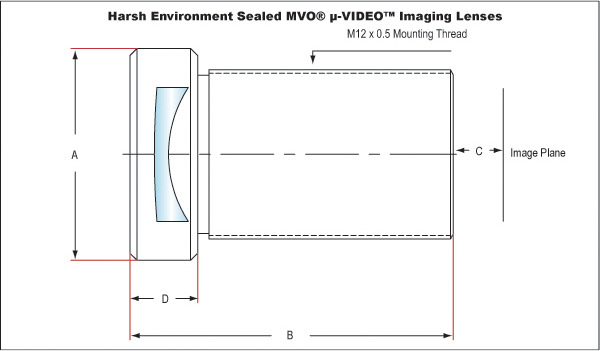 The type of lenses are going to be harsh environment lenses, with specs as roughly outlined here. As the lenses come as sealed units, they would have to be drilled to avoid problems with the pressure of the air within the model in the space environment.